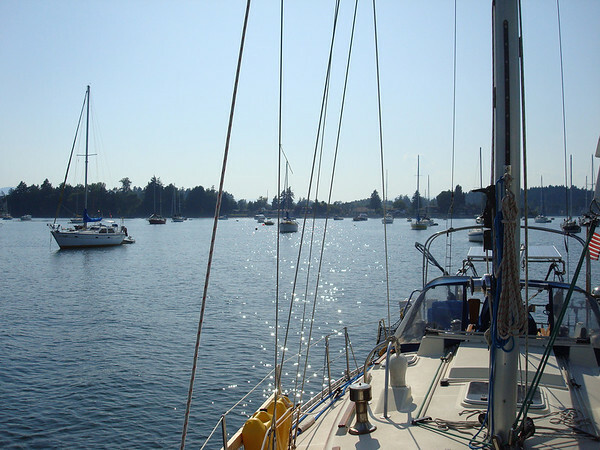 Our last visit to Tsehum Harbor, we were chomping at the bit to get our adventure started. 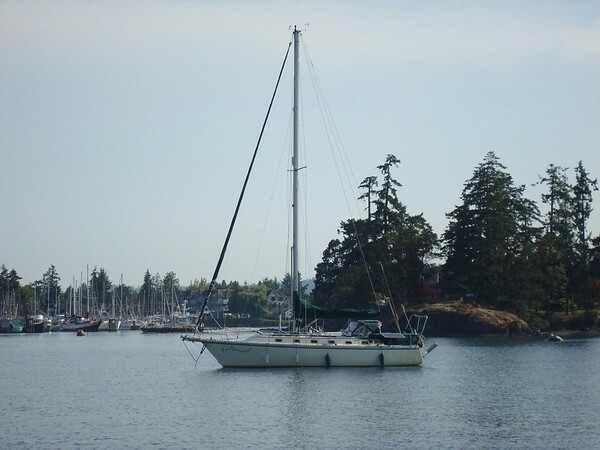 Sure, we sailed to Port Townsend, across the Strait of Juan de Fuca and spent a fabulous weekend in the San Juans. But that hardly qualified as adventure. We sought remote anchorages, dangerous waters and wildlife with big teeth. Instead, we were stuck in Tsehum Harbor waiting for our new sail to be adjusted and some engine parts to show up while ski boats roared past us throwing up enough of a wake to make walking inside the boat hazardous. This visit, our attitudes seemed to be different. We spent the last few months chasing that adventure and loved (almost) every minute of it. But now we found ourselves out of touch with friends and family and pining for the siren song of the super-sized chocolate shake at McDonalds. So we settled into life at Tsehum Harbor for a few days of preparation for the arrival of McKenzie and Matt, Christy's sister and soon-to-be brother-in-law. The first thing Christy noticed as we pulled into the anchorage was another Caliber, the first Caliber we've seen in the wild. We've known a couple others at Shilshole but have yet to run across one until now. Dennis and Pam aboard s/v PamDemonium proved to be wicked cool folk. We shared drinks and dinner with them as we discussed voyaging plans. They live aboard at anchor and are preparing the boat for a voyage down to Mexico just about the same time as us this fall. They introduced us to Mike and Marni aboard s/v Picara who are also voyaging down to Mexico about the same time as us this fall. We also met Keith and Olena aboard s/v Anon and you'll never guess what their plans are for this fall. Mexico. Everyone was fantastic to spend time with and further cemented our belief in people who live and voyage on their boats. If these are the kinds of people we'll be spending time with in Mexico, than we can't get there soon enough. Pam and Dennis gave us a ride down to Victoria so we spent the day walking around this incredible town. What a beautiful waterfront. To really enjoy this town you need two ingredients, 1. a boat and 2. garbage cans full of money. 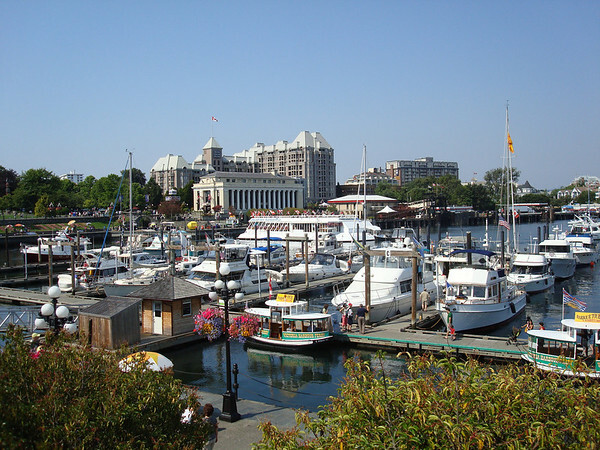 The waterfront is loaded with great cafes, restaurants, and pubs. Since we didn't have our boat with us (still anchored in Sidney) and none of our garbage cans have any cash in them at all, we made ourselves content with a tasty lunch at the local Pita Pit and a nap under a tree. Back in Tsehum Harbor, we got the boat prepped for visitors, the first visitors we've had since we left the dock. This involved a good deal of effort cleaning out the quarterberth which we had packed with tools, kayak paddles, spare parts, books, and more tools. We also had the aft head (our guest bath if you please) packed to the rafters with wet foulies, life jackets and diesel jerry cans. We spiffied up the boat and talked about how excited we were for McKenzie and Matt to get here. 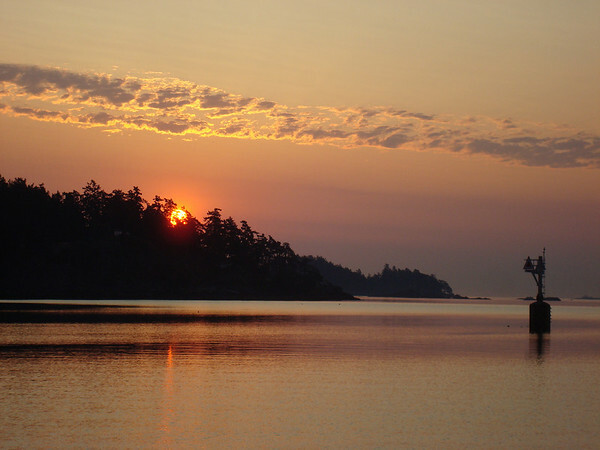 And so it was that we actually enjoyed our stay in Tsehum Harbor this time around. The harbor certainly hadn't changed. But maybe we did. 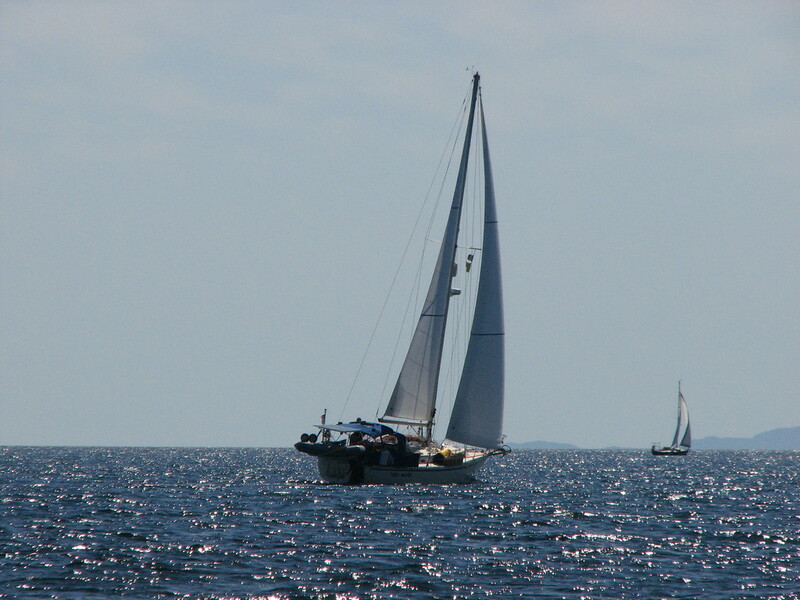 s/v PamDemonium - the first Caliber we've seen in the wild! The familiar confines of Tsehum Harbor. 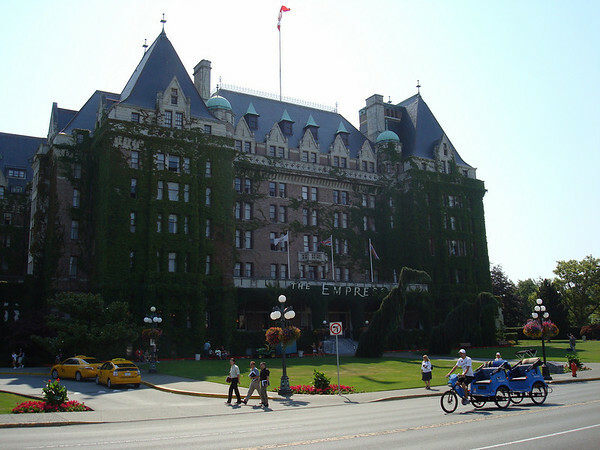 The Empress Hotel in Victoria. 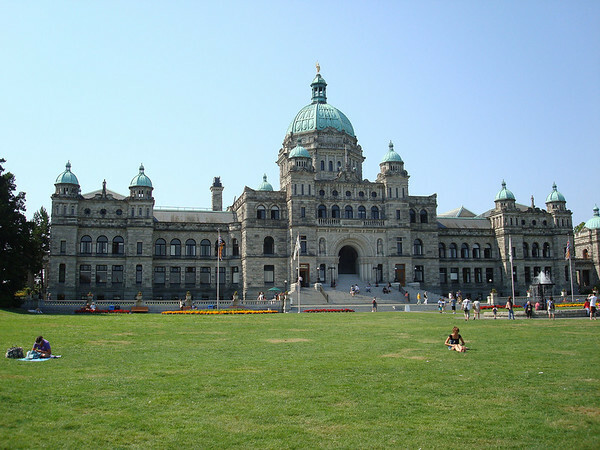 The "legislative" building in Victoria. Does that mean it's the capital? We may never know.